Welcome to Park Place at 92nd Apartment Homes, located in Westminster Colorado. At Park Place we offer newly renovated one, two and three bedroom apartments that range in size from 616 square feet to 1,036 square feet. At Park Place at 92nd we offer residents several community amenities such as a dog park, a swimming pool, a grill area, a fitness center, a 24 hour on-site laundry facility, a business center with wifi access, and an outdoor playground area. We strive to provide the best environment for you to call home, so here at Park Place we have an on-site management and maintenance team here to help you with your every need. We encourage you to schedule or stop by anytime for a tour of our beautiful community here in Westminster Colorado. We are open 7 days a week. 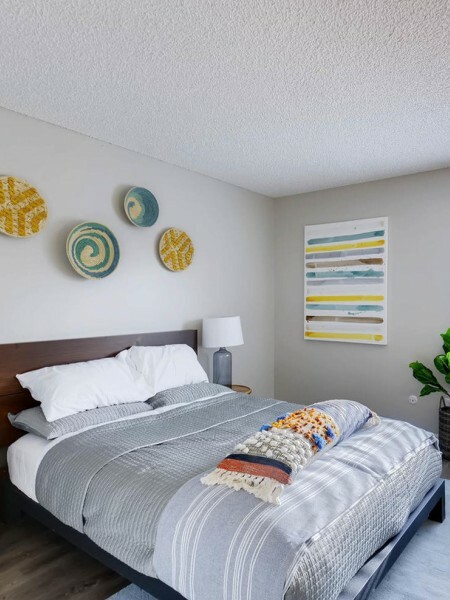 Each newly renovated apartment home in the community comes with new flooring, countertops, cabinets, appliances, and light fixtures throughout. All homes in the community include a storage closet on the patio, individual climate control, central heating and air conditioning. Come by today and start the journey into your new home here at Park Place at 92nd.